Well another mad year is nearly over…. Ehren has continued to be a superstar. 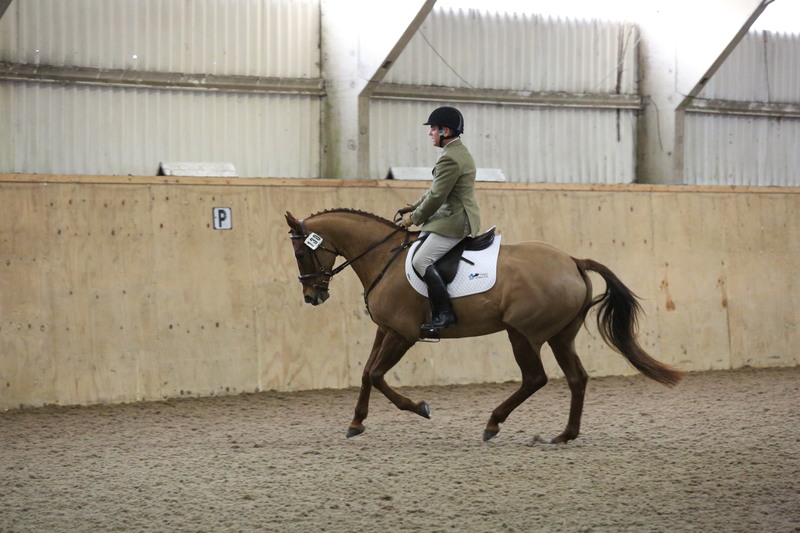 At six years old and in limited outings she qualified for both the Hickstead Masters and the Summer Regionals, including an amazing 75.52% in her Novice qualifier at Chester Hall BD in May. She then went on to qualify for the Winter Regionals in two trips, has started her first Elementaries and is nearly out of Novice points. She has only left home fourteen times! 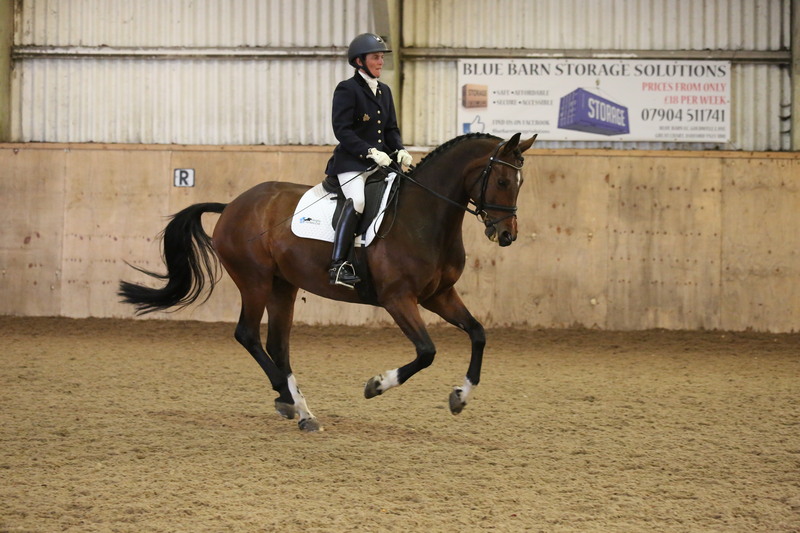 Other dressage divas have continued their run of form. Morgan Schive and Debbie Reeves have qualified three horses for the BD National Winter Championships at Prelim, Novice and Elementary. Jasmine Forsdick has made her mark at Medium with Kevin. Those of you that know these guys will know what a great job Jasmine has done, a real turnaround and proof of what a mixture of hard work and a ‘can do’ attitude will achieve. There have been lots of other successes both at BD and unaffiliated. So many combinations have done so well and improved so much. Some new entries to the 70% club, and some others striving to get there! 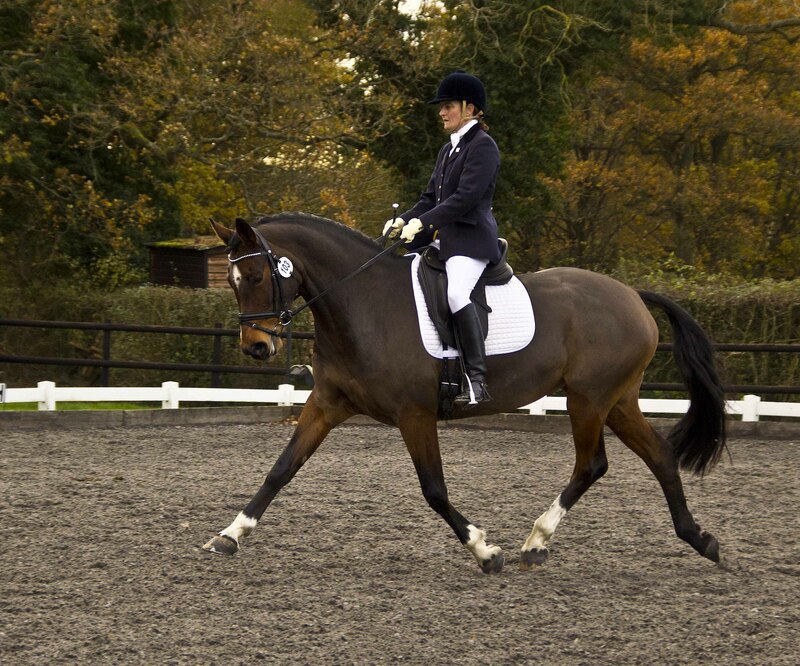 At the other end of the scale, two schooling liveries Dylan and Dita went home and made their dressage debuts with their mothers. Both brought home red frillies, wow! We had quite a few schooling liveries this year. They were all lovely house guests and always welcome back. I thoroughly enjoy playing with other people’s ponies for a few weeks and seeing them go home to their owner a little more polished than when they arrived. 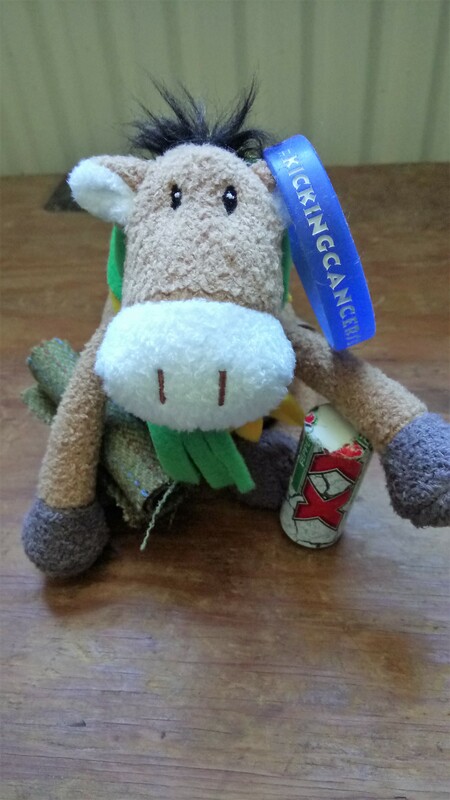 I will never cease to be amazed by the reaction to their previously cardboard stiff tack being clean and supple, as though I am some miracle worker. No, it is called saddle soap. You lot should try it sometime!! 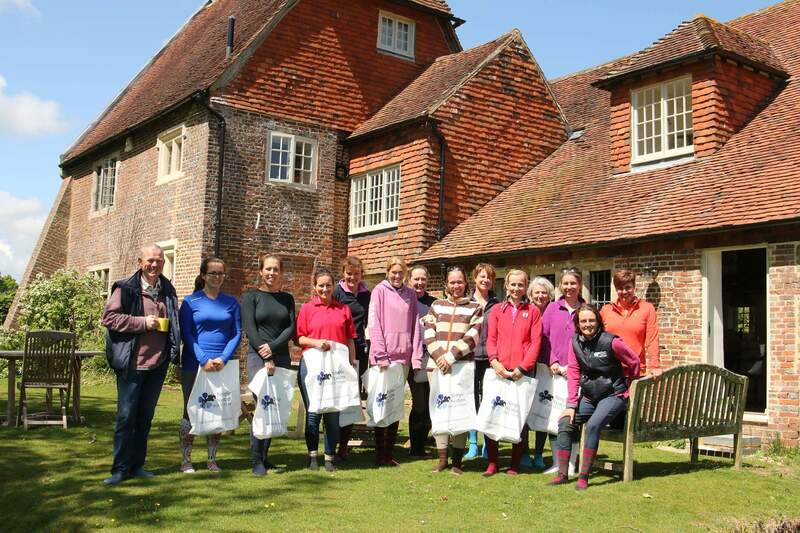 On the eventing side Martin and Tinka had a fantastic year for The Groomsbridge Stud. She started the season at a horrendously wet Tweseldown BE100 with a 3rd, she won at Iping BE100, was 7th at Chilham BE100 and finished the year jumping round a Novice at Goring before heading home for a winter holiday. We are all very much looking forward to competing her next year. 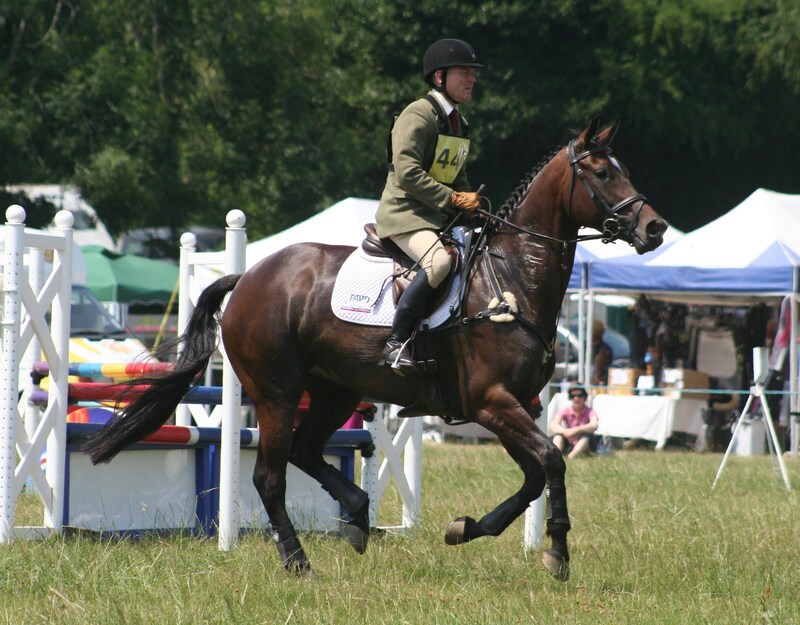 Clinic regular Jules Izzard also had a great season with her young horse Libby with placings at several BE80 and BE90s. 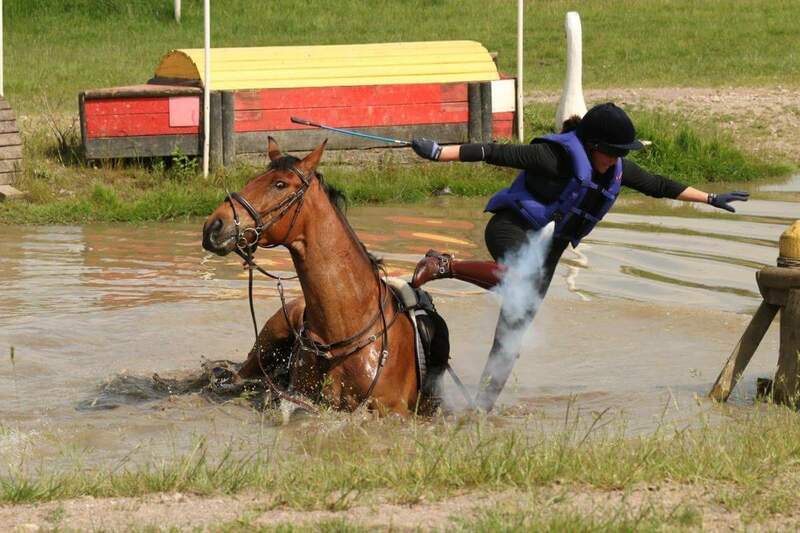 They are new to eventing and doing a fantastic job. 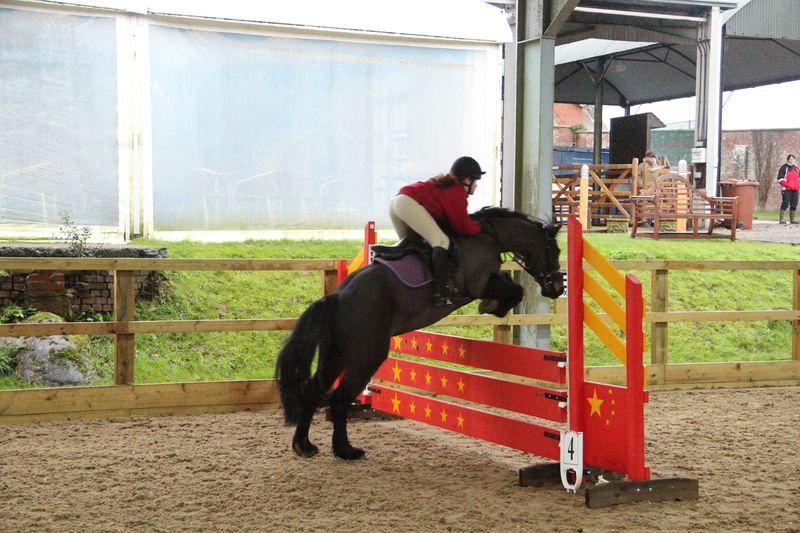 I have been lucky enough to be at some of the events and see them compete, always makes me very proud as I remember their first wobbly jumping clinic! 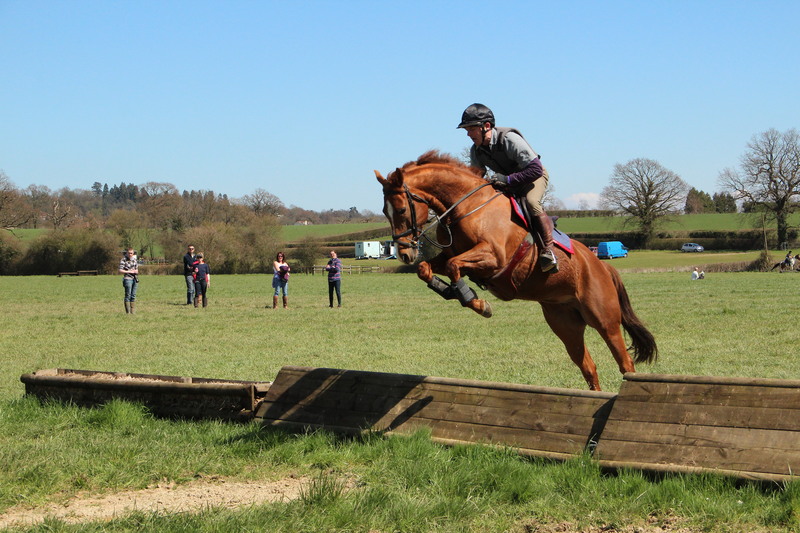 All the jumping clinics remain very popular, and adult camp too. They are always a lovely supportive and fun environment. I get a huge amount of pleasure from texts on a Sunday night telling me how well Pony X jumped that day. 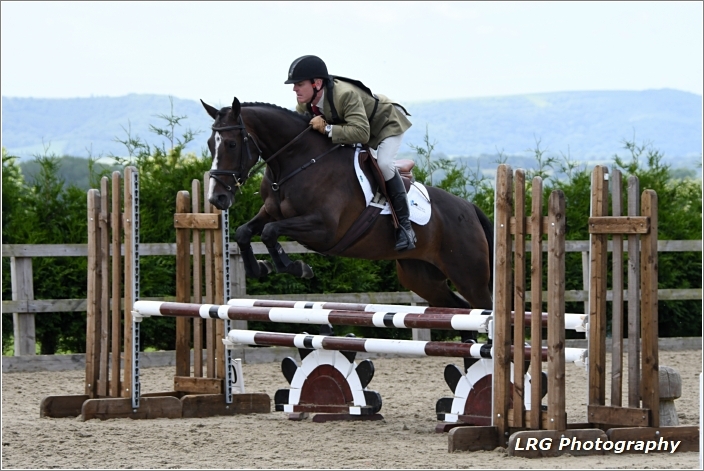 Tiny is still having a great life with Clare Drury competing for Dartford and District RC, recently jumping like a star at the BRC National Championships for team 4th. Ivy is still as mad as a fruitcake and being pampered with the Reeves family. I sold Rosie to Lauren as she is very much loved there, fingers crossed for a lovely foal for them next year. We are hoping Lexie will have a foal by the Jumbo sired Med Night Mahout next year too. Her yearling Millie goes between looking like something a child has drawn with a crayon and looking quite smart. Who knows how she will end up! 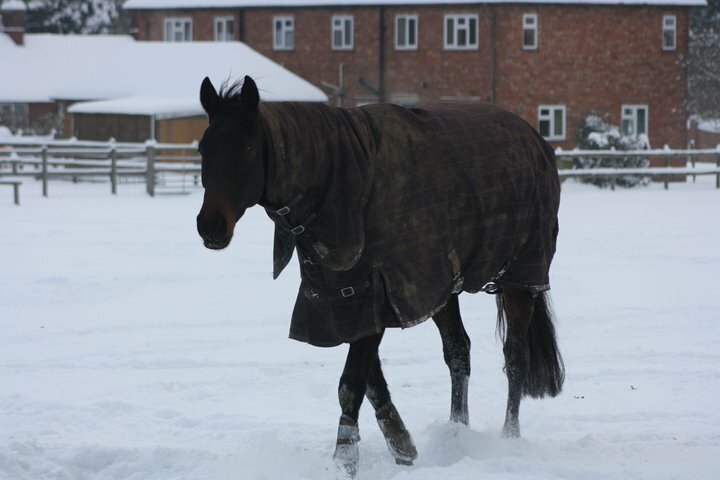 The most recent recruit Little Lexi has been chilling out but it’s now time for her to start work, and currently living in Tinka’s stable is the Groomsbridge Stud’s four year old Jasmine who came to be backed and is looking forward to her dressage debut after Christmas. 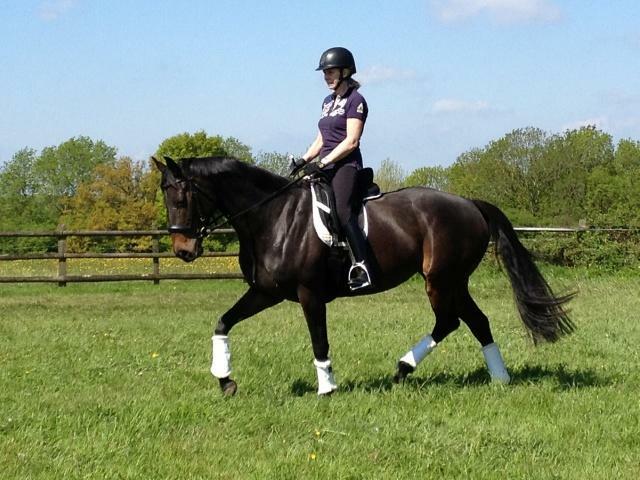 Following her Kissing Spine surgery last year, Lily is back in work with Martin onboard. There have been ups, there have been downs and boy there have been tantrums! She broke his nose, she threw them off the bank at Lodge Farm backwards, and she kicked her way out of Lucy Thompson’s arena leaving fence and nails scattered everywhere. She got attacked by a dog, and with customary aplomb she put that in its place too. Lily is not for the faint hearted but boy is she a character! She is slowly learning to tolerate Martin’s rough ‘boy-style grooming’ with the grimace of a child whose grandma has just reached to the bottom of their handbag for a tissue to lick…and her field antics recently went global! She has made huge progress this year when her future was seriously in doubt. Fingers crossed for the Ginger Rocket. Something for you that Martin stole from a book “What the world needs is a little less sense and a little more faith”. If you believe you can do it, you will be amazed by what you can do. On that note, we both wish you all a Merry Christmas and a Happy New Year! Well I think Hartpury must be the coldest place on earth! 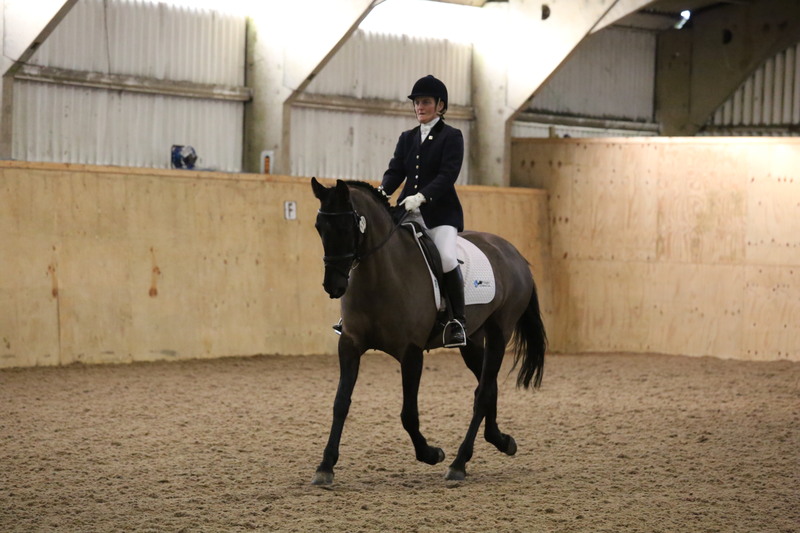 Louisa and I went to the British Dressage National Convention last Sunday. It was -8 degrees when we left home and didn’t rise above -4 degrees all day. The poor people sitting on the short side of the arena with no heaters looked like icebergs! This year the convention was with Klaus Balkenhol, aided by the Bechtolsheimers, and was excellent. 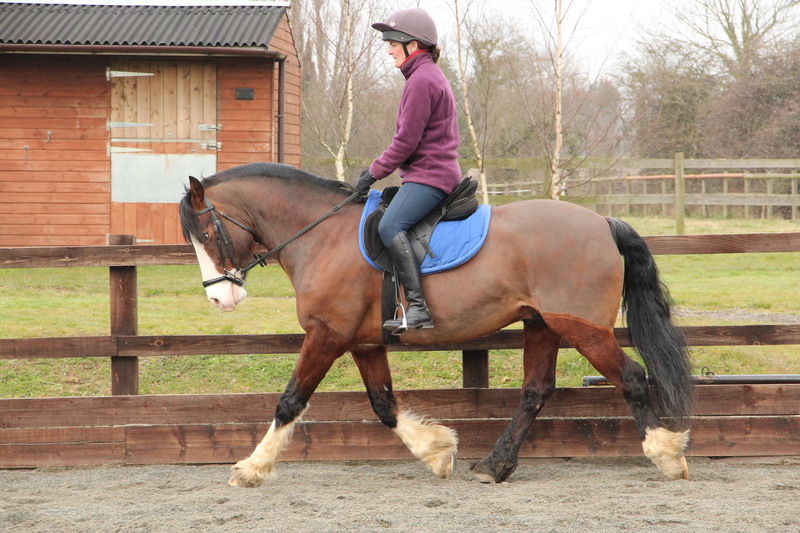 The message was about patience, listening to what the horse is telling you, taking time to get understanding and importantly, correctness before extravagance (there is hope for Harry after all!). So on the theme of being patient and giving things time, Lily is on a brief winter holiday. It’s freezing cold, we are under a foot of snow, the forecast is still pants and she has that splint bumbling away. 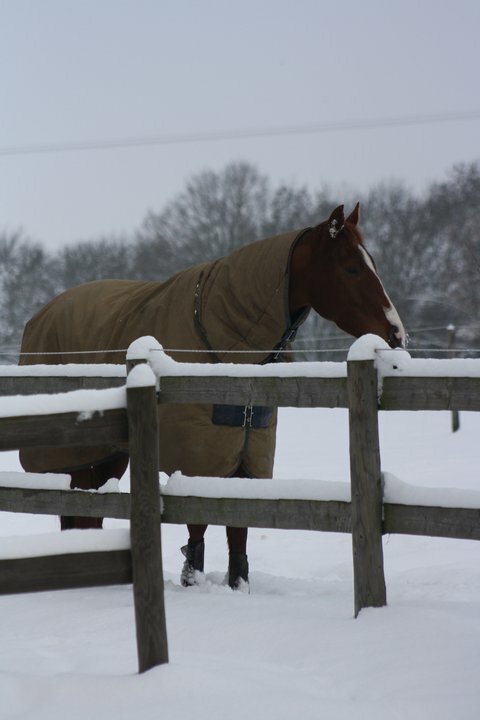 So she can chill until the weather improves…Costa del Brrr for Lily! I’ll not beat around the bush about this – when we got back from Hartpury it became clear that Martin had shared the bed with another. I’m not one to air my dirty linen in public (if you pardon the pun! ), but there was evidence. Now I’m pretty laid back but some things are a no-no. Martin, the dogs sleep downstairs!! More drama on Wednesday as my dad was carted off to Darenth Hospital following a minor heart attack. An angiogram shows his pipework is seriously clogged up, and as I write this he is at St Thomas waiting for heart bypass surgery on Wednesday…Now this is going to horrify anyone who has had help of a Sports Psychology nature from me, but I am making no apologies. 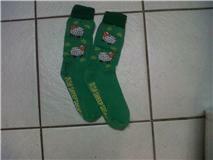 On Wednesday I will be wearing my lucky socks. I managed to lunge Harry today and what a feisty boy he was! 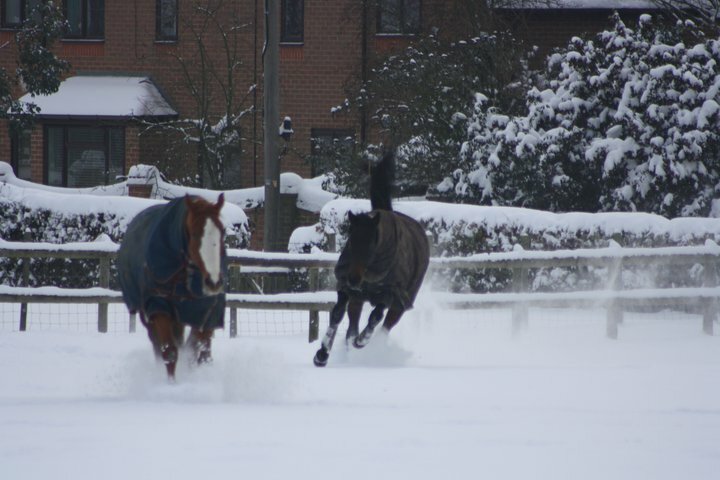 Let’s cross our fingers, paws and hooves for some sun to melt this horrid white stuff. I haven’t earnt a penny since it arrived and I am worried that the Red Lion will close without my patronage!